webadmin01 – Capital Blues Inc. 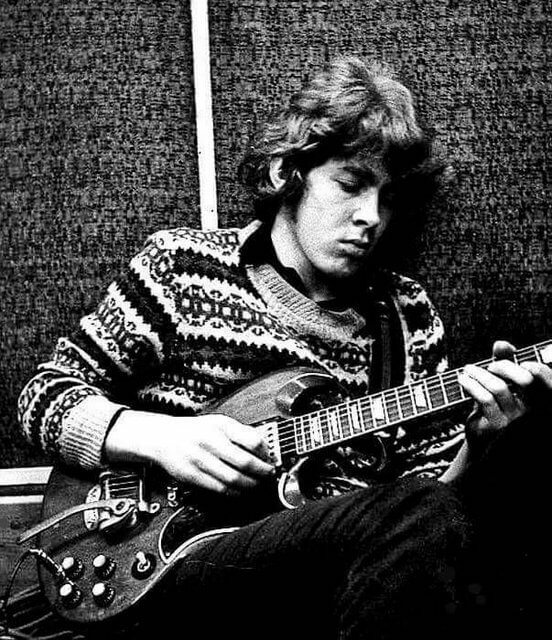 This month’s Capital Blues Radio Show features music from Mick Taylor and the Bluesbreakers, BB King, John Shane, Mavis Staples, Paul Butterfield Blues Band, Likho Duo, Wellington Heads, Jake Stokes, The Strait Shooters, Bill Lake, Chris Cain, Vintage Trouble and The Band as well as news and views on the Wellington blues scene. Your host is Del Thomas. Del is on the committee of Capital Blues Inc., Wellington’s own blues club. Capital Blues Radio Show is live on Wellington Access Radio 106.1 FM on Wednesdays, once a month, from 9-10 pm. This month’s Capital Blues Radio Show features music from Robert Plant, Robert Johnson, The Rolling Stones, BB King, Elmo James, Al Whitham, Clifton Chenier, Mavis Staples, Sonny Terry and Professor Longhair as well as news and views on the Wellington blues scene. 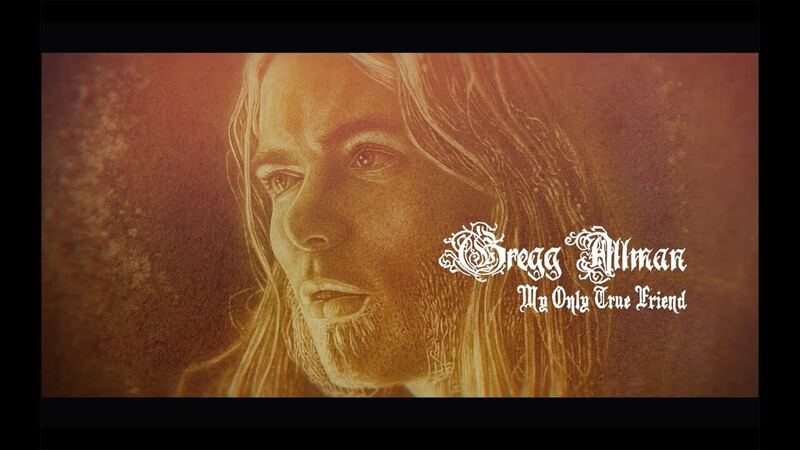 The featured album is Gregg Allman’s final LP ‘Southern Blood’. Your host is Del Thomas. Del is on the committee of Capital Blues Inc., Wellington’s own blues club. Capital Blues Radio Show is live on Wellington Access Radio 106.1 FM on Wednesdays, once a month, from 9-10pm. This month’s Capital Blues Radio Show features music from Buddy Guy, The Strait Shooters, Del Thomas, Charley Patton, Kniki & Mike Beale, Darren Watson, Hound Dog Taylor, Bill Lake, Paul Butterfield Blues Band, Chris Cain with the Rodger Fox Big Band as well as news and views on the Wellington blues scene. 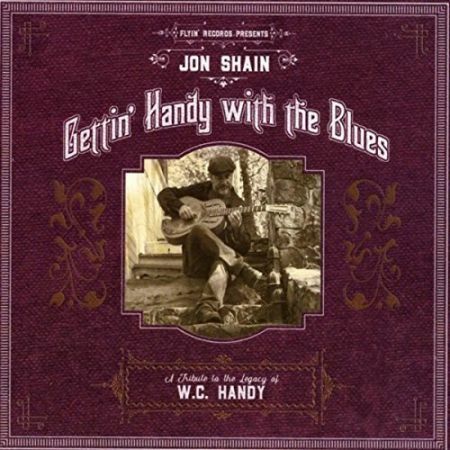 The featured album is “Gettin’ Handy With The Blues” from Jon Shain. This month’s Capital Blues Radio Show features tracks from Johnny Winter and Ben Harper, Chris Cain, Del Thomas, The Bar Kays, Albert King, Dave Murphy, Blind Willie McTell, Chris Rea, Darren Watson, BB King, Mike Garner. Featured album is Chris Armour’s new one – Teleporter. Your host is Del Thomas. Del is on the committee of Capital Blues Inc., Wellington New Zealand and hails originally from Scotland. There are singer-songwriters who use their craft to project a more romantic image of themselves. You hear them sing their songs and you imagine them as cowboys, drifters, gamblers, rebels on life’s highways, though the reality is generally far more prosaic. Wellington based singer-songwriter Matt Hay is different. Starting from the dictum ‘write what you know’ he pens songs that barely venture beyond his own suburban backyard. He doesn’t pretend to be anything other than what he is; a balladeer from the ‘burbs. And yet you will find melodies here that stick in your brain, choruses you’ll want to sing along to, lyrics that are timeless and poignant, offering quietly astute commentaries on life’s little ups and downs. 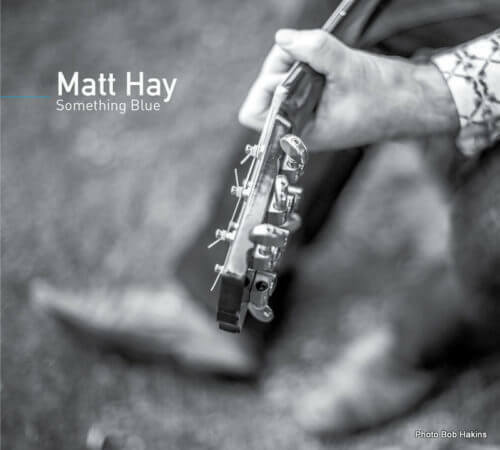 Something Blue, out 28 October, is Hay’s second full length release, following on from his impressive 2007 debut album Inside Stories, and his 2012 EP Where do we go from here? From the opening country rocker, ‘Last jubilee’ through the back porch dobro driven blues of ‘High Roller’ to the closing old timey country blues of ‘Ain’t Gonna Worry’, Something Blue delivers tunes you’ll tap your toes to, and melodies you won’t forget. Something Blue features Hay’s regular band, the Makers – Clint Meech on Keys and BVs, Phil Hope on Mandolin and BVs, George Barris on Bass and Delia Shanly on Drums and Percussion. Hay is now a firmly established face on the Wellington blues and roots scene having first appeared as harmonica player in blues wunderkinds Cool Disposition in the early ‘90s. Cool Disposition morphed into roots rock outfit Surge, who release one critically acclaimed album ‘Then Again’ before calling it quits in 1997. Hay has also featured as side man for local blues legends Darren Watson, Dave Murphy and Marg Layton. Features tracks from the Fabulous Thunderbirds, The Blues Band, John Mayall’s Bluesbreakers (featuring Sonny Landreth), Rick Bryant and Bill Lake, Jimmy Rogers All Star Blues Band, Darren Watson, Bonnie Raitt, Mike Garner, Little Walter, Allman Bros and a track from my forthcoming album, Changes Coming. The featured artist this month is Steve Winwood – tracks from the Spencer Davis Group, Blind Faith and his solo career. Your host is Del Thomas. 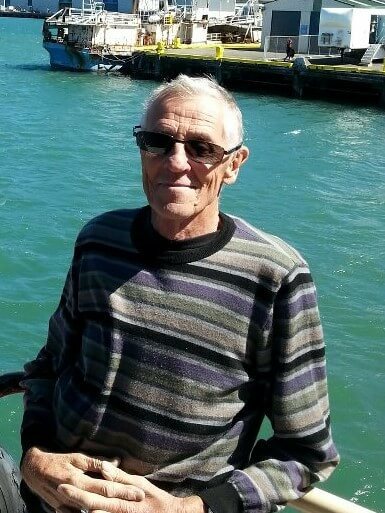 Del is on the committee of Capital Blues Inc., Wellington New Zealand and hails originally from Scotland. 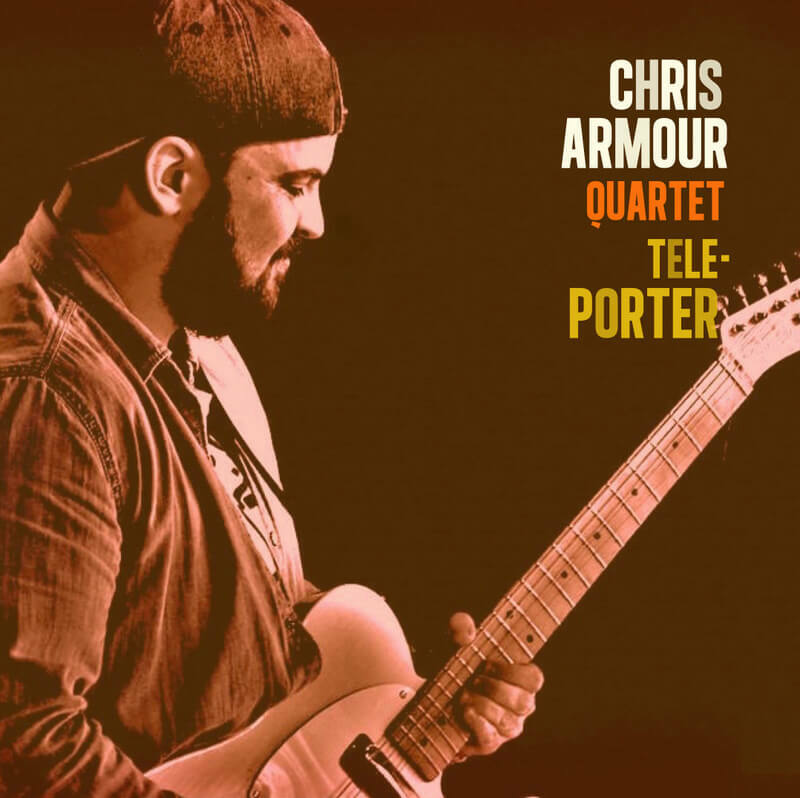 Wellington based blues and roots guitarist and blues club regular Chris Armour has released his debut album, ‘Tele-Porter‘. Drawing from the deep well of American roots music, the Chris Armour Quartet offer up a dynamic and incendiary instrumental album of vintage sounding electric blues. Featured on the album is an enviable cast of familiar faces in Richard Te One (drums), Andrew Clouston (sax), Steve Moodie (bass) and Dayle Jellyman (piano). Live, unfiltered and exuberant. Tele-Porter is the Blues. In late 2013, Chris had his prized Telecaster stolen after a night of gigging. News of his misfortune made it all the way to Boston, Massachusetts and soon after Chris received an impossibly generous gift from an acclaimed blues musician; a guitar with an uncanny likeness to his stolen Telecaster, emblazoned with the custom decal ‘Tele-Porter’. It was with this guitar that Chris wrote and recorded an album which teleports the listener to an era when great records captured the spontaneity and energy of passionate, live performances. Album Release Party: September 15th at The Third Eye Tuatara Brewery. $10 entry, doors from 6pm, music from 7pm. Credits to: Miklin Halstead, who engineered the mixing and mastering of the album at his studio The Stolen Cabasa. Album cover photography by Michelle McRae, design by Nick Lissette. Frankie was a kind, funny, and loving friend to many. He was a music lover and a very cool dancer. Frank and his partner Sue were on the blues club committee for many years and they contributed a positive presence. We will miss you Frankie, rest in peace and know that you were well loved. This month’s show includes tracks from the new Rolling Stones album ‘Blue and Lonesome’, Lowell Fulson, the Strait Shooters, Mike Garner, Vintage Trouble, Bonnie Raitt, Kniki & Mike Beale and Ray Charles. The featured album is Eric Clapton’s latest album ‘I Still Do’ – some great blues songs on that! Blues Roots n Boogie is broadcast monthly on Monday evenings at 8.30pm on Access Radio. 783 KHz AM or streamed live on accessradio.org.nz. This month’s broadcast features blues music from Wellington and abroad plus news from the Wellington blues scene. 11. Mike Garner and Lightning Red. Your host is Del Thomas. Del is on the committee of Capital Blues Inc and hails originally from Scotland.